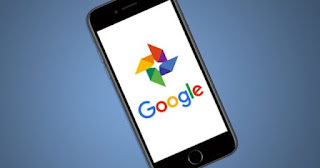 Google Photos is a good way to store all our photos in the cloud. The Internet search engine offers users unlimited space for this type of content , as well as videos, for free. Those in Mountain View are always looking for new ways to improve the service. An example of them is the latest update of the app for iOS devices. One of the new features that this update brings is the editing of portrait mode . Users can change the focal point and depth, in addition to leaving the subject in color and the background in black and white. The Twitter account of Google Photos has been responsible for reporting on the latest update. Now, iOS users can edit their photos from the application with portrait mode and change various values ​​and parameters. Testing this function with Google Photos is very simple. All you have to do is open a photograph made with portrait mode in the application . Then, select the edit icon in the menu and press once more to edit the depth and focus. "It seems that Google is doing its own processing when you change the depth. The results are remarkably different - in some cases, even better - than with the Apple Photos app itself . There are many other apps that allow you to increase or decrease the bokeh on iPhone. Clicking on an area of ​​the photo to change the focus does not result in a big difference, at least in the short period of time I've been testing that feature. " Another feature of the update is the one that allows you to change the background to black and white while keeping the subject in color. This was previously offered as a finishing effect through the Google Photos Assistant section. This update not only affects the iPhone users . The owners of a Pixel 2, Pixel 3 and Moto smartphones can also use it. If you already have the latest version installed and can not find the function, do not despair. Google usually announces this type of news before implementing them. It's time to be patient and wait.